The measurement array must be selected to meet the requirements of the measurement environment and type of noise source. The geometry of the array (plane, spherical, conical etc.) 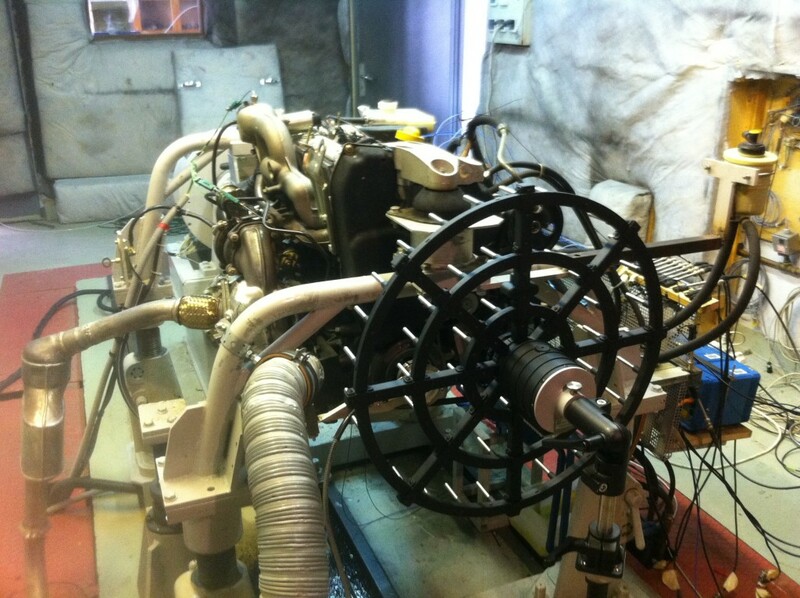 is selected to provide optimal measurements in a specific acoustic field. For external measurements, the array is typically planar while for internal space measurements, the array is spherical and preferably rigid to provide better dynamics. Positioning the microphones is key to the performance of the array to identify noise sources, according to the frequency bands of interest. For example, a high density of microphones supports the analysis of high frequencies, while a large microphone spacing in the array would be better suited for the lower frequencies. MicrodB offers a wide range of microphone array: from the lightweight and portable NoiseScanner array to the 3Dcam array. For advice on the best system to suit your specific requirements, contact one of our technical experts. 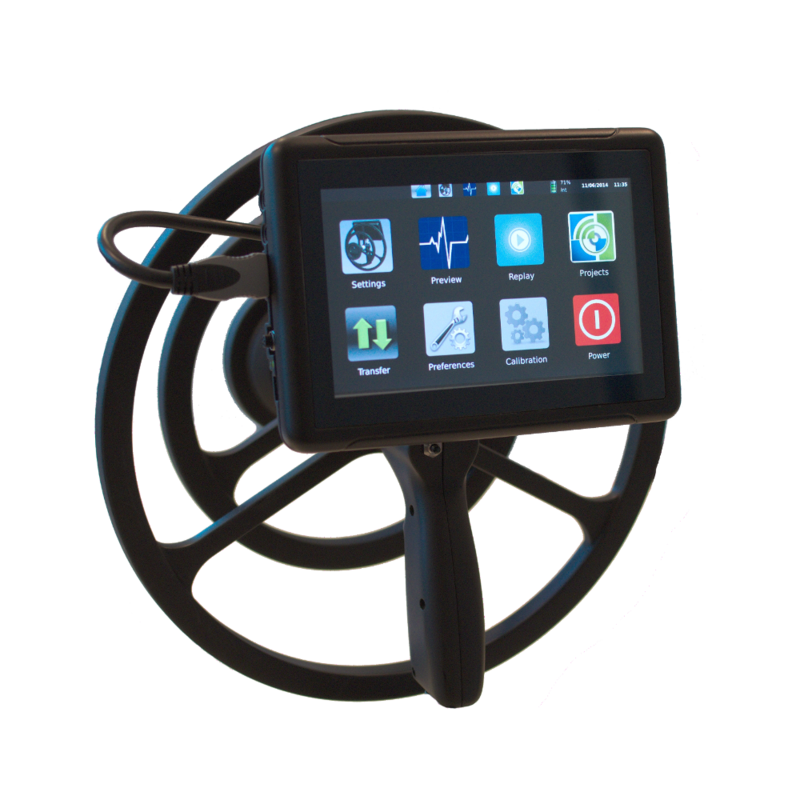 This portable and lightweight tool provides instant on-site diagnosis that can quickly display a localization of noise issues such as acoustic leakage, noise sources or quality control. NoiseScanner comes from an innovative concept to provide acoustic diagnostics for on-site problems. Audio and video input are synchronized with measurements in real time. NoiseScanner thus provides an acoustic diagnostic tool halfway between the standard sound level meter and the acoustic camera. NoiseScanner is designed to work in complete autonomy with the user, when looking to identify a source of noise in a complex system. 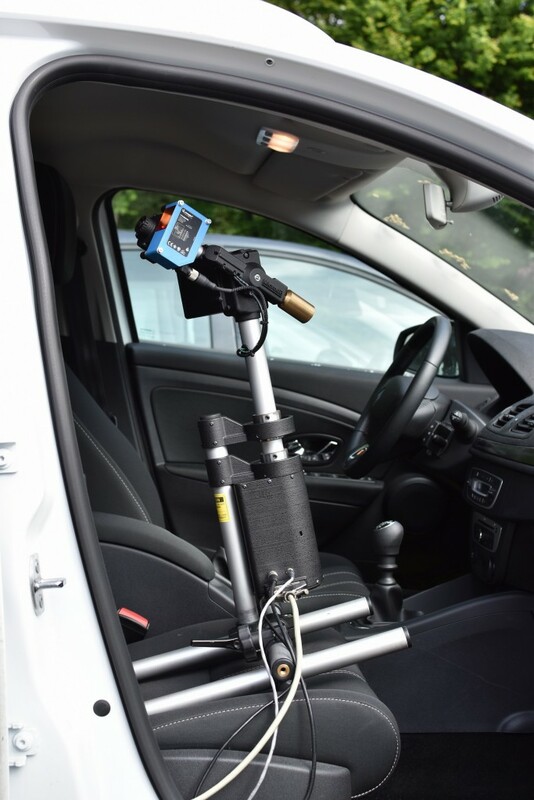 Noise Scanner is designed to work in complete autonomy with the user, when looking to identify a source of noise in a complex system. The acoustic camera array can synchronize instantaneous audio, video and measurements to obtain sound source map in real time. 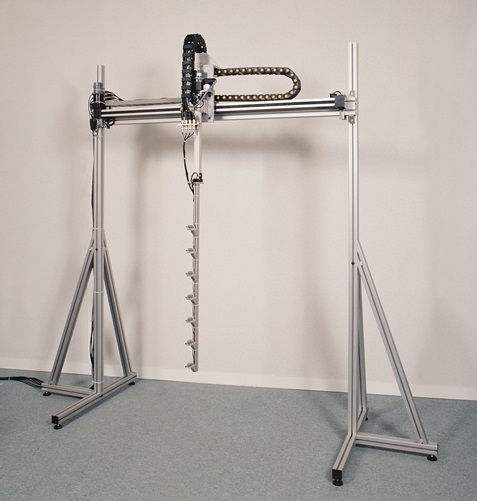 This system is generally used for measurements in the near field, and is particularly useful for test bench measurements. 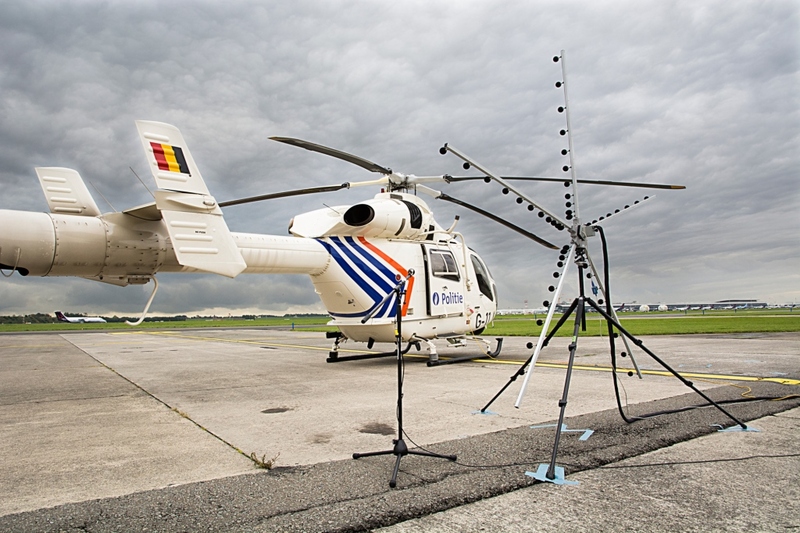 Locating the array close to sources of interest presents two main advantages: firstly to measure the acoustic field with the greatest incident angle possible; and secondly to capture evanescent waves that provide more detailed information and thus more accurate results in terms of localization and sound power quantification. 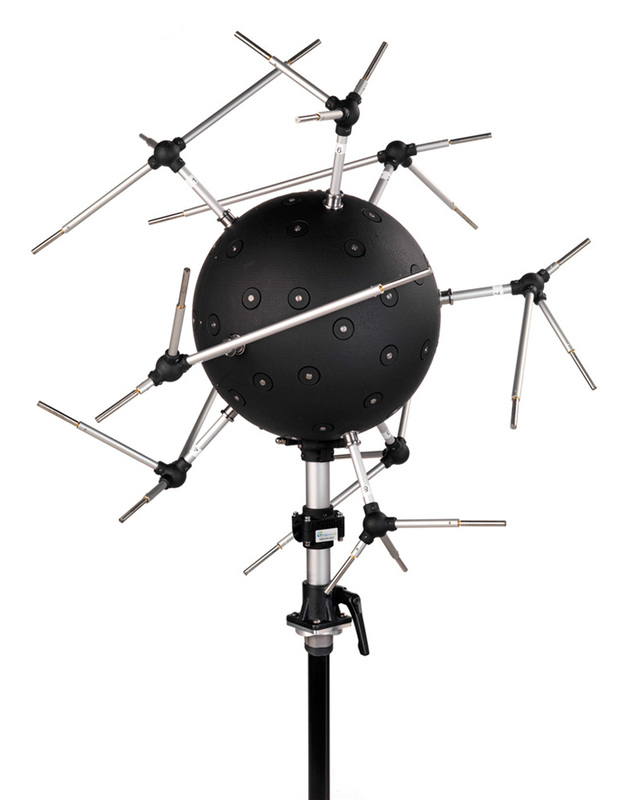 The modularity of the SoundCamera digital array, developed by MicrodB, permits to cover a very wide frequency range (from 100 to 20 000 Hz) thanks to its 45 MEMS, 30 cm diameter base configuration, and its 81 or 117 MEMS with 60 cm or 150 cm diameter with extended configurations. Its spiral geometry permits to come as close as possible to the source of interest with the best performances, even in a cumbersome environment. It is directly connected to the computer by Ethernet for a complete autonomy and quick set-up. 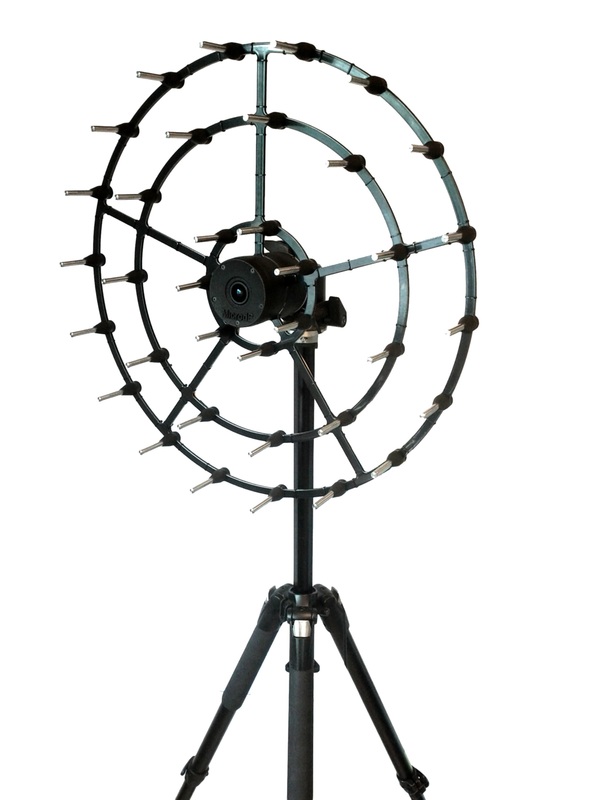 The MicrodB HDCam analog array 50 cm in diameter comes in 36, 45 or 54 channels depending on the frequency range of interest. Their optimized geometry is formed from three circular rings and offers excellent performance over a wide frequency range (50 to 10 000 Hz). 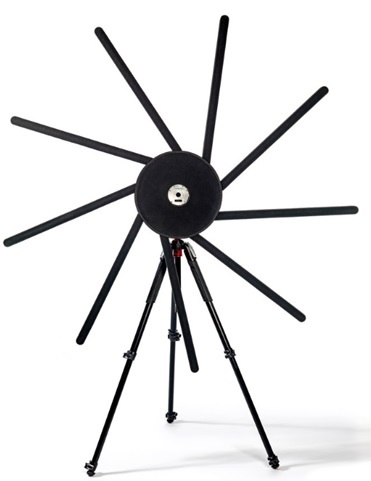 With the SoundCamera digital array with the large extensions or the analog PBCam array , MicrodB offers a good compromise between size from 1.5 to 2.5 m) and implementation speed (foldable and portable). MicrodB can also design a custom array using its geometry optimization tool. 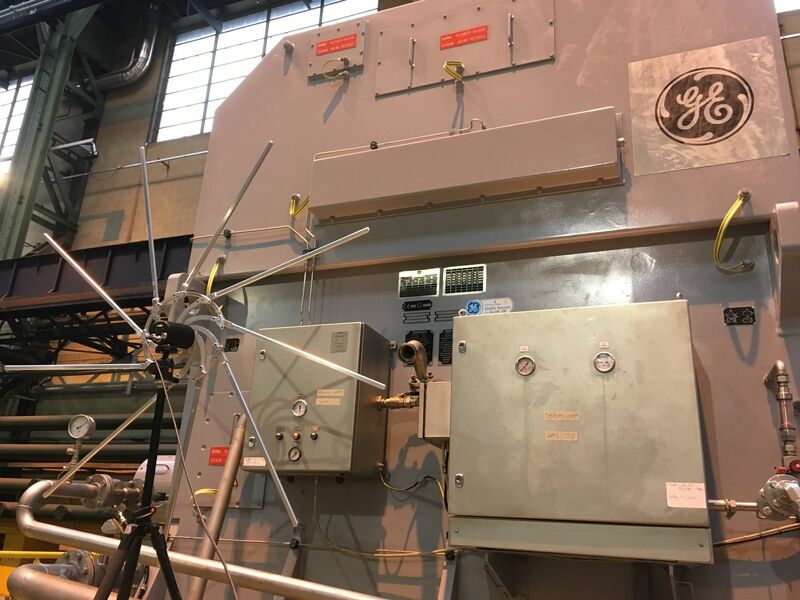 Noise measurements in internal spaces are often constrained by time, whether for on the road testing, wind tunnel tests or in flight. In addition, in reverberant environments, acoustic reflections from the walls of the internal space interfere with the acoustic measurements. 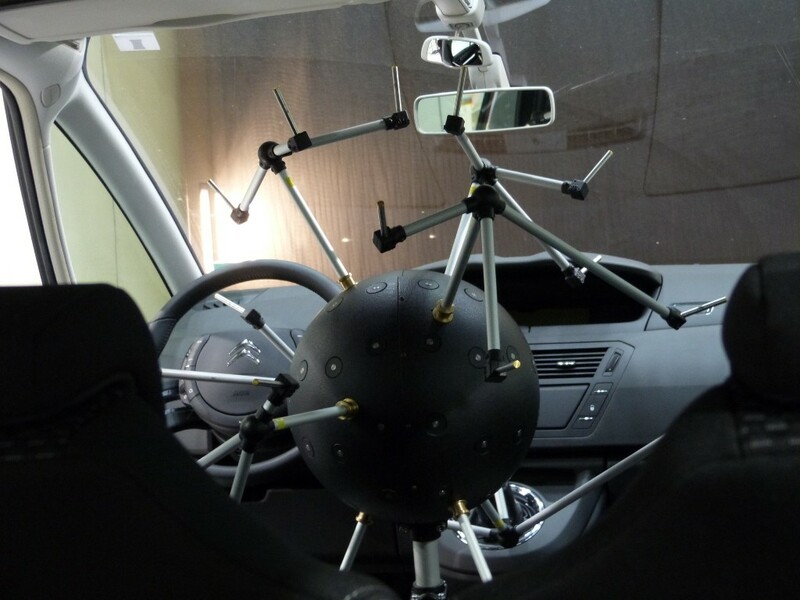 To meet these challenges, MicrodB has developed and patented its rigid spherical array 3DCam in collaboration with Airbus. The system allows for a “snapshot” of the three-dimensional positioning of the sound sources on the walls of a compartment. The 3DCam is primarily designed for noise at medium and higher frequencies found in phenomena such as Squeak and Rattle. For the study of lower frequency noise, such as frequencies associated with the structure, the array can be extended to provide a larger array spacing adapted to the frequencies of interest. Acoustic holography in the near field is the most efficient method of noise source localization and quantification. It allows the characterization of the transparency of panels and more generally quantifies stationary power sources in the near field. However, it requires a fine, regular mesh to measure the acoustic field. For this reason, the array is scanned by means of precise automation over 1 or 2 axes. MicrodB’s QuantidB package provides a solution which measures and analyzes regular acoustic holography.